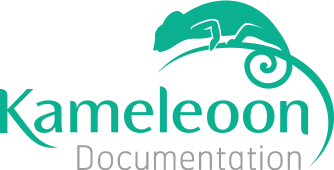 Kameleoon and its interface are available in English, French or German. The language set up in your browser will be used by default in Kameleoon. If your browser language is not one of the three languages available, the editor will launch in English. To change the language, click on the “Settings” button on the top right of the screen, and select “Language” in the drop-down list. A pop-in window will appear, allowing you to change the language. To change the language in your personal space, click on your username on the top right of the header. A drop-down menu opens: click on “Language” to open the pop-in. Choose your language (french or english) and validate your choice.